Do you agree that our children’s futures hold the key to the future of Texas? Can their personal success in the 21st century be based solely on academic knowledge reflected on state test scores? Do you agree that a child deserves a whole education? Donwload and send this completed PDF to proudly endorse and support whole child education for the children of Texas! Anchors for Life Foundation and Fort Bend ISD’s Student Support Services Department endorse the Whole Child. There is no cost involved to participate. Your organization will be recognized in our publicity materials. The Whole Child philosophy is based on a broad concept that, in order for a child to be educated successfully, he/she must be healthy, safe, engaged, supported, and challenged. These descriptors are embedded in the five ASCD Whole Child Tenets. The essence of The Whole Child Initiative is in the relationships/partnerships that are formed on behalf of all students. Texas ASCD proposes to strengthen education in Texas by explicitly linking educational reform infrastructure to the ASCD Whole Child initiative. The outcome will be a collaborative and mutual Whole Child education policy agenda for Texas. This activity engages and influences current Texas ASCD partners as well as other educational leadership organizations and political leaders in Texas to consider how a Whole Child approach to education in Texas enables Texas students to achieve better education outcomes statewide. Identify and analyze interrelationships among the tenets of the Whole Child and education reform efforts. 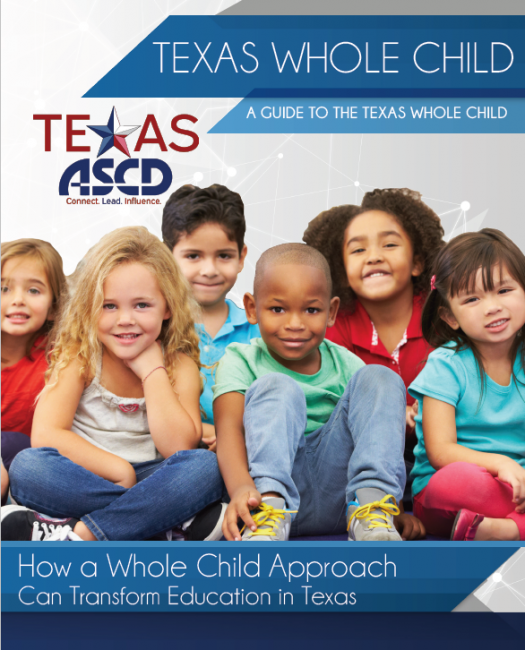 Develop a needs assessment and gap anaysis of policies and programs by aligning the tenets of the Whole Child within the Texas education reform agenda. Convene community conversations to identify support and barriers to the Whole Child Initiative that will inform a collaborative local influence agenda. Publish and disseminate a policy instructional manual and professional development training on state and local actions to facilitate incorporation of a Whole Child approach to education in Texas. Watch the Texas Whole Child Initiative Webinar.